DAMN…Bass Drop Music & Skunky Beats know what’s up: Poirier, Kraddy, Juakali, Matty G & Resident Anti-Hero at their Hempfest afterparty in the old Rainier Brewery + heaps of locals, vendors, live painting, dancers and art on the rooftop of the Old Rainier Brewery. Hempfest is the largest protestival in the world and takes place August 21 & 22 and runs north and south along the waters of Elliott Bay in downtown Seattle. You can listen to speakers, dance to all kinds of music, go on munchie runs for snow cones, buy all manner of bongs and smoke fat joints right in front of the SPD. It’s a beautiful weekend. Worlds collide in creative combustion when three bass music ambassadors unite to bring their eclectic tastes and dynamic talents to the stage as DreadBass Soundsystem, the new endeavor of Kush Arora, Nate Mars and Juakali. From three pulse points of the domestic electronic underground, San Francisco, New York and Los Angeles respectively, this trio of artists connect their multiple styles together, pulling the weight of dubstep into the future by its roots to produce a sound thick with a global feel and dusted with digital dub, experimental electronica and energetic dancehall. The resulting music is motivating to the mind and body, with up-front lyrics and assertive beats popping together with grime-ridden basslines and proving that the dance floor doesn’t need mindless bangers to get down. Kush Arora provides the drums, effects and dubbing for the trio; this mainstay of the San Francisco underground has recently set to flame West Coast festivals such as Shambhala in Vancouver, BC and Jujubeats in OC. His unique sound is a warped future-fusion of dancehall, dubstep, bhangra and grime, stepping away from the usual psychedelica found in the Bay and leaning towards a refreshing smack of boldness more indicative of his roots in the Punjabi region of India. 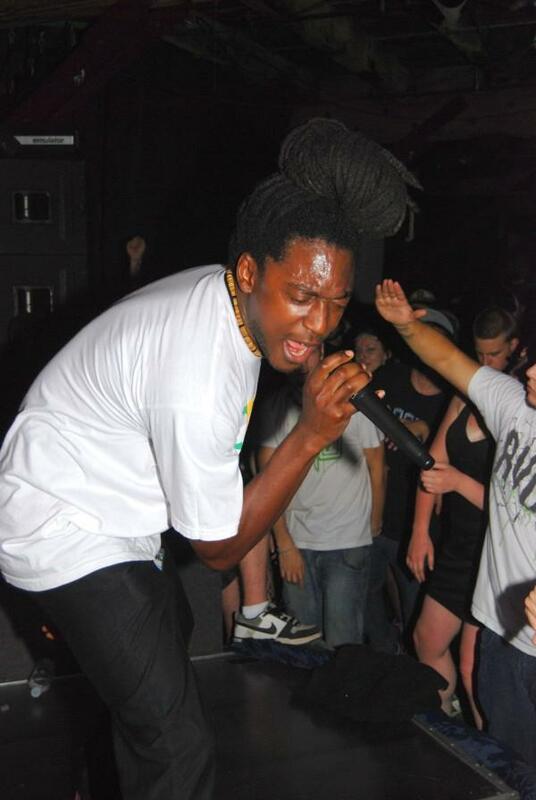 Kush’s two releases of 2009, Dread Bass Chronicles and Boiling Over, were both critically acclaimed, with Dread Bass Chronicles on several “Best Of” lists of the year. He has contributed to releases on Surya Dub, Record Label Records and Blipswitch, and Kush’s presence in the Bay area’s electronic arts community is as dynamic as his sound, which pushes forward a world of influences to widespread and welcoming crowds. Nate Mars contributes to the group his eclectic musical palate and trained talents on the keyboard and bass guitar, adding a substantial thwomp to DreadBass Soundsystem’s bubbling global sound. A regular on the BBC Radio 1 shows of Mary Anne Hobbs and Annie Mac, Nate’s singular style has evolved into a signature sound, his wobbling waves in the low end installing him as a stable force in the international dubstep scene. Dabbling in a myriad of genres, he has received accolades and fans from his drum and bass track “Concentric Circles” on compilation album The Deprogramming Sequence (Liberation Systems) as well as his acid house EP with a remix of a Morgan Page track released under the name “The New Yorker.” Nate’s debut dubstep album drops in spring of 2010 on Blipswitch; its first single “Above and Beyond dem feat. Jahdan” was included on Freq Nasty’s FabricLive 42 compilation. Heavy and rich and dripping in bass, Nate’s original sound delivers a fat shoving dose of dubstep to the dance floor’s starving ears. Adding a tactile touch of organic voice to the trio, Juakali caps the group with his unique and inspiring lyrical stylings. One of the foremost MCs of the global underground electronic community, Juakali’s melodic delivery is accented with an island lilt from his native Trinidad and slapped with smarts from the city of LA. His animated performance style together with his uplifting words and authentic delivery help to unite the musicians and crowd together as one blast of creative energy. 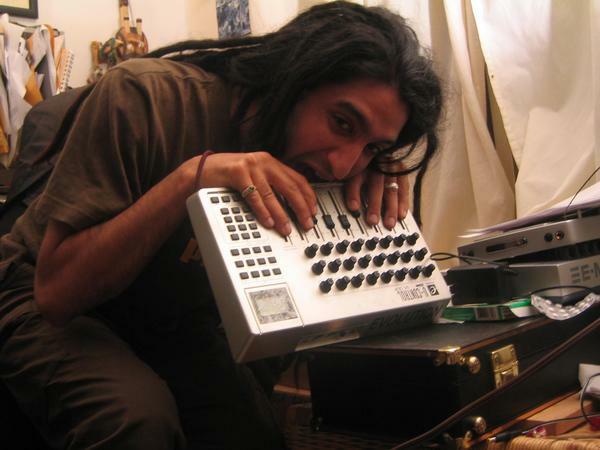 Juakali also performs as part of the live electronics crew Sub Swara and is host of the first all-dubstep event in the United States, Dub War in New York City; as such he has been an integral factor in the introduction of this new sound to new ears. Knowing no genre boundaries, Juakali’s words are a ribbon of hopeful smoke that weaves through the deep waves of dub, bhangra, dancehall, jungle and reggae, leaving behind a wake of positive vibes, moving bodies and pulsing minds. Together these three artists are DreadBass Soundsystem, a new sonic journey into genre-denying territory that never forgets the listener and always delivers a fresh sound rich in influences from all over the world, a few of other planets and the future of music as well. Kush Arora’s vigorous sound design along with Nate Mars’ substantial groove and Juakali’s vocal upswing combine to create an original and inspiring musical experience rooted in the global bass community and pushing forward to a creative future where we don’t need labels- only dance floors. Catch the debut of DreadBass Soundsystem at the SXSW Festival in Austin, Texas on March 17 at Barcelona with N-Type, MRK1, Eskmo, Eprom and the Spit Brothers. Wow. Click here for details. Due to popular demand I am writing up my showcase suggestions for the 2009 Decibel Festival which begins TOMORROW! I have been pimping for this festival for a while; I believe strongly in the smart curation of the party. These lineups are not just thrown together, but rather placed with precision into intelligent mixes of eclectic talent. In case you haven’t figured it out by now, I write for Decibel, and am honored to be a part of Seattle’s EDM festival. I have bolded my top pick for each day, and added links in orange to the showcase descriptions that I wrote up. Decibel Festival Showcase Spotlight: dB in the Park- DON’T FEED THE ANIMALS! dB in the Park was one of the most talked-about showcases of last year’s festival, and this time we bring you another onslaught of feral beats and good times on the grass with a collection of wild animal DJs who have busted out of their cages of style, delivering sets that have no genre borders and no limits- only a little slobber around the edges. Opening the daylight event is local legend Eddie, beloved by dance floors citywide for his ferocious enthusiasm and unmatched dynamism. Up next is Decibel favorite KiloWatts whose bass-heavy approach ranges from techno to broken beats to IDM, all supported by intelligent structures and a musical fluidity that makes humans move uncontrollably. The live electronic crew Sub Swara experiments with dub and brings it to life lightning-like, shaking under the bass weight and melting multiple genres together in a heady stew, all set off by the energetic style and organic voice of MC Juakali. Finally, from the world-renowned club night Low End Theory comes resident Gaslamp Killer, who has chewed through the bars and escaped LA to test your courage with his raw turntable skills, mad animal stage presence, and a menacing psy-funk freak-out style of demonic sludge spazz. Is that blood on his hands? Free and all-ages, dB in the Park promises to once again unite a wide and colorful array of music lovers who come for the eclectic mish-mash of wild world electronica, from little girls with big purple hoola hoops and old-man ravers in orange wigs to neo-hippies dressed in feathers, leather, and butterfly wings. Attention all freakazoids and robots: please report to the dance floor. dB in the Park takes place Sunday, September 27 starting at noon in Volunteer Park on Capitol Hill. Click here for ticket sales and more information. Photos from last year’s dB in the Park by Tap Tap Productions. Are you ready for the biggest dubstep show the Pacific Northwest has ever seen? With a climate of overcast skies and damp, chilly nights quite similar to that of dubstep’s birthplace of the UK, the Pacific Northwest is a natural fit for the dark, dank genre. Like the rest of the West Coast, dubstep has monsooned this evergreen land with an ocean of wobbly bass. Here and around the world, leagues of dubsteppers are forming and uniting with producers and DJs to celebrate a growing passion for the bassline-driven rhythms and violent whomp of the fresh new sound. Monkeytek and Dubtek represent Portland and Seattle, respectively, delivering a double dose of dubstep with a distinct regional flavor alongside the lyrical stylings of DJ Collage. From the UK Boxcutter brings a bag of tricks to lay over the dubstep structure, inventively and intelligently using a broad palette of inspiration from acid techno to jazz and pushing the genre forward over the edge of experimental electronica. Award-winning DJ, producer and radio host N-Type brings his weight to the massive; this club legend champions the latest dubplates on his RinseFM show, sending the message of clean beats and pure filth all over the world. Wiping up the rest of the brains dripping out of your ears is Caspa, who takes no prisoners. This London dubstep king’s label Dub Police is dominating the genre. Caspa’s crispy sound is a wild and dirty-fun party that pops out of the top of your head and at the same time caresses that dark streak down your back like an illicit lover. His music doesn’t step, it stomps. Adding to the frothy mix are two of the world’s finest MCs, Rod Azlan and Juakali, who bomb-drop their rhymes like agents of peace, spreading positive vibes with each utterance. Three of the UK’s biggest names in dubstep backed up by local Green Coast talent guarantees dB in duB Part 2: Dubstep Massive to slap you in the face with impossible bass, move your body in ways you have never seen, and grind your soul down deep into the dance floor. In the very best way possible. dB in duB Part 2: DUBSTEP MASSIVE takes place Friday, September 25 at Motor. Click here for ticket sales and more information. Kickstarter.com is an online funding platform for artists, musicians, designers, filmmakers, journalists, inventors and explorers. You create a project and then people from around the world have an opportunity to support you; in return the backers get rewards like a mention on a CD or a vinyl album and of course, that warm and fuzzy feeling that comes from knowing you are promoting someone who is making this world more beautiful. 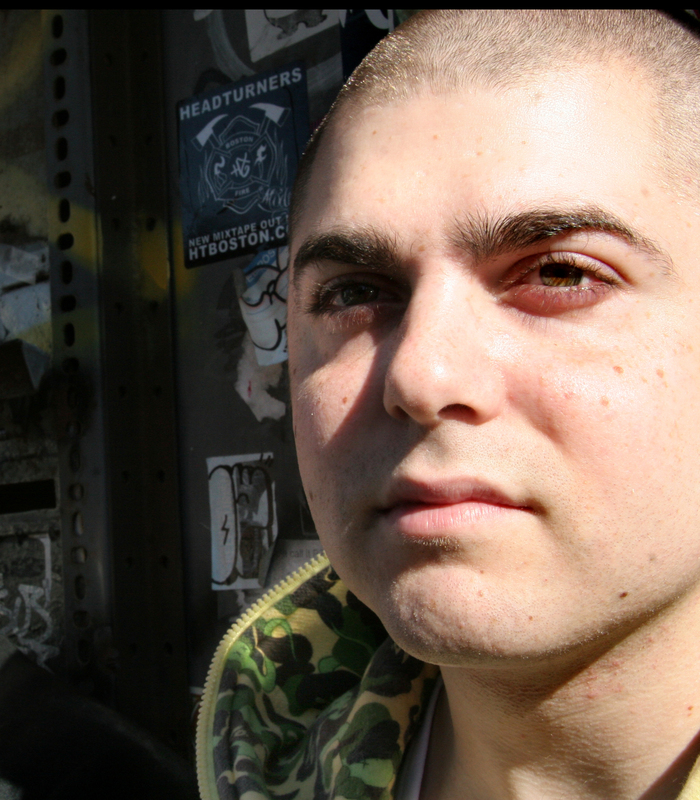 Check out the project by MC Juakali, host of NYC’s Dubwar, the first dubstep night in the US and the biggest one on the East Coast. He is one of the premier lyrical stylists in the international underground electronic arts community and is looking for help to create a video for Dem City, a track from his second featured EP, Come From Yard. Pledge to support Juakali by October 4 and you can receive a copy of his first 12″ vinyl, mention in the video credits of Dem City, or your identity artfully crafted into the new video itself! Kickstarter is a sweet platform to connect artists with those who want to support them. Check it out, and consider becoming a backer of Juakali.